Don’t miss out on this absolutely, crazy, FREE Improv extravaganza! Meet amazing people and get involved with a supportive, fun improv community. 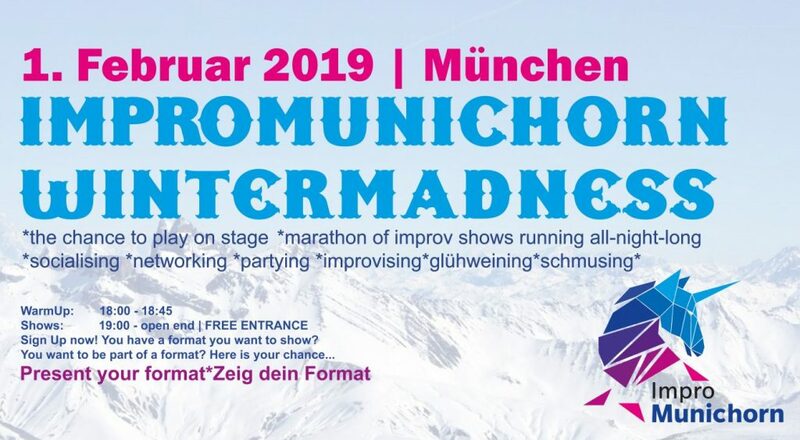 You can watch a variety of local improv groups and also get up on stage to play yourself if you want! Feel free to just have a beer or two and laugh along from the audience as well. In addition to special ImproMunichorn events, we offer regular Courses and Workshops! Zusätzlich zu diesen Events haben wir auch Kurse und Workshops!